JEFFERSON COUNTY — Editor's Note: 'Our Colorado' helps us all navigate the challenges related to growth while celebrating life in the state we love. To comment on this or other 360 stories, email us at OurCO@TheDenverChannel.com . See more 'Our Colorado' stories here . 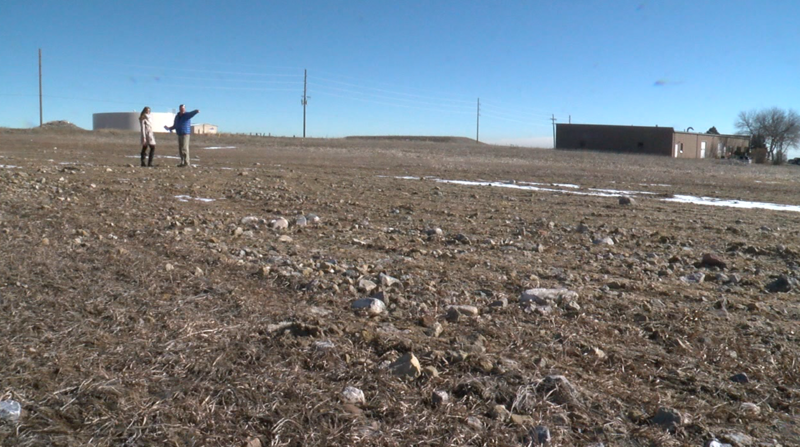 As the Jefferson Parkway Public Highway Authority narrows down contractors and gets ready to break ground on Colorado’s newest toll road, a single piece of land stands in the way of progress. The toll road is a 10-mile stretch of land that would connect Highway 93 to Highway 128 from Golden to Broomfield, continuing the loop around the Denver Metro Area. However, a local landowner says that’s not true. Mark Hotchkiss is a trustee The Kenneth W. and Joy R. Hotchkiss Family Trust and the son of the property’s original owners. “My father bought this land in the late 70s, early 80s as an investment mostly,” Hotchkiss said. In 1988, Kenneth Hotchkiss constructed a building on the property and moved a plastic injection molding business onto the land. The rest remained largely untouched. When Mark first heard about the Jefferson Parkway, he saw an opportunity for the land to increase in value and be used for a retail space or gas station. “This whole strip of land was going to increase in value,” Hotchkiss said. But in 2012 his family was sent a letter by the group constructing the road, asking to buy a three-acre parcel of the land. However, Hotchkiss says the group went further than that, threatening to use eminent domain condemnation to seize the land if the two sides couldn’t reach an agreement. After some back and forth, the two sides finally reached a settlement and the Hotchkiss family agreed to sell 2.46 acres to the highway authority. “They bought the property at a kind of a minimum market value. That was in 2015,” he said. Mark Hotchkiss thought that would be the end of the deal. In 2017, he sold his father’s former plastic injection molding building to a CBD company and was holding on to the rest of the land until after the highway was developed to see how it would be rezoned and who would be able to use it. However, last month, on the same day that Denver7 reported that the Jefferson Parkway project was moving forward, the family trust was sent a second letter; the highway authority wanted to buy more land. “They just recently change their plans and said they wanted to put the exit ramp on the south side of Highway 72,” Hotchkiss said. In order to do that, the group needs to buy another half-acre of land from the family, a triangle-shaped parcel right at the edge of the property. For a second time, he says the group has threatened to use eminent domain. Another issue Hotchkiss is worried about: the city of Arvada purchased a 20-foot-wide easement in 2017 to put a water main into the ground. He’s worried the water main will need to be relocated once construction starts on the highway, possibly taking up more of his land. He’s also worried about access to the land that is left. Hotchkiss says his solution is simple. He wants the group to buy the remained of the land the family owns in that area, about 2.5 acres in all, at fair market value. The family trust sent a response letter to the highway authority explaining their stance and Hotchkiss said he got a call from a representative of the group a few days later saying they are sending out an appraiser. “It’s as if our response was met with, ‘Well we’re moving ahead we’re going to take this land whether you like it or not,'” he said. Hotchkiss says he’s willing to take the fight to court if the group refuses to compromise. “I’ll fight this. I’m not just going to roll over,” he said. Denver7 reached out to the Jefferson Parkway Public Highway Authority to respond to the story but did not receive a comment.